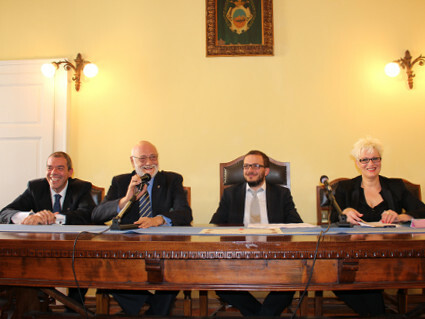 A Press Conference was held on 31st October 2015 at the City Hall during which the Mayor Filippo Frittelli, the WBF President Gianarrigo Rona and the FIGB President Gianni Medugno officially announced the event and signed the contract (pictured from the left, President Medugno, President Rona, Mayor Frittelli and Sports Councillor Isetti). The Salsomaggiore Sports Councillor Daniela Isetti, who is also Member of the Board of the Italian Olympic Committee and Vice President of the Bicycle Italian Federation, introduced the ceremony bringing the greetings from the Italian Olympic Committee President Giovanni Malagò who gave his patronage to the championship. 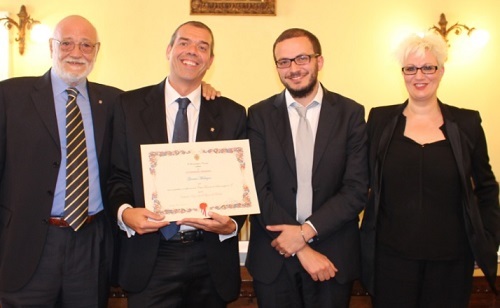 This same honour was previously awarded to Gianarrigo Rona. 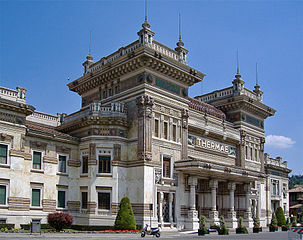 Salsomaggiore Terme is the home of Italian bridge and is very well known by the bridge players everywhere in the world, having hosted several World and European Championships included the 1992 World Bridge Olympiad.